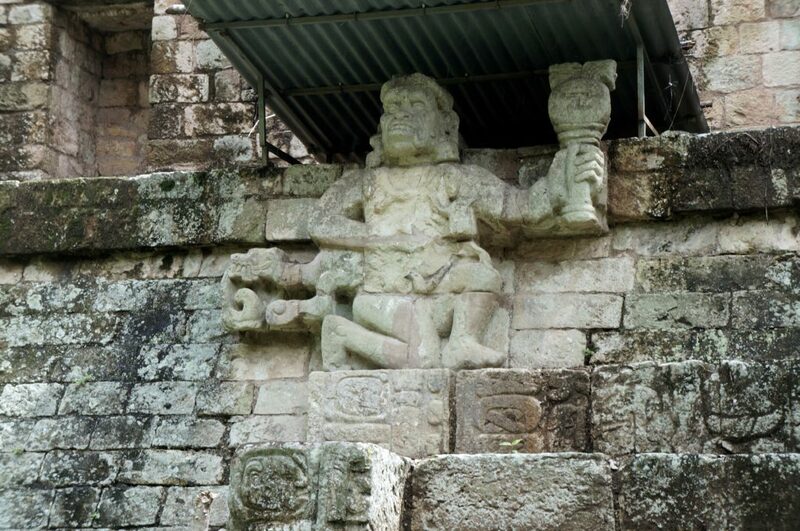 The Maya city Copan existed in about the same time as Tikal (as well as a couple of other big Maya cities in the area). 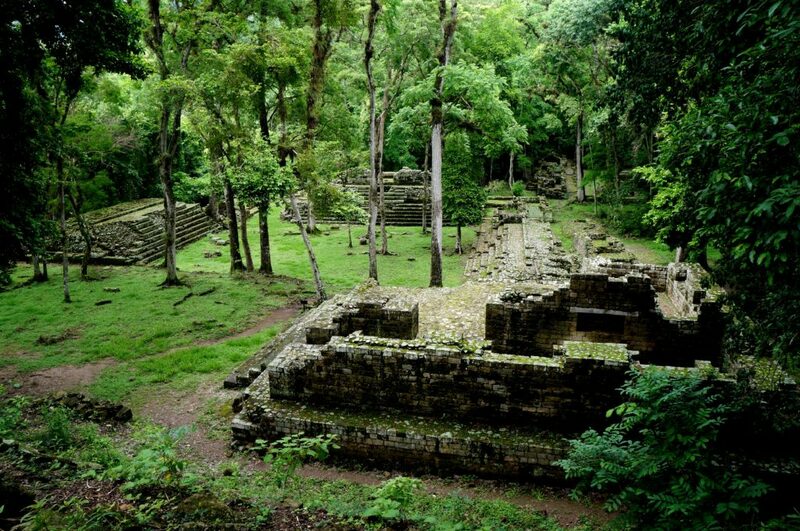 With its estimated 25.000 inhabitants, Copan was quite big. The Maya cities in the region had contact with each other despite the long distances (even today the journey takes several hours by car); they actually walked to the other cities, a trip taking several days or even weeks. There are many temples and houses (mostly for the royalties) on the archeological site in Copan. Recent research has found it to be even more temples underneath the ones we see. Our guide told us that the Mayas probably built a new temple above the old one every time a king died. Quite interesting! Today, the area around the ruins is extremely green; it is like a small jungle. 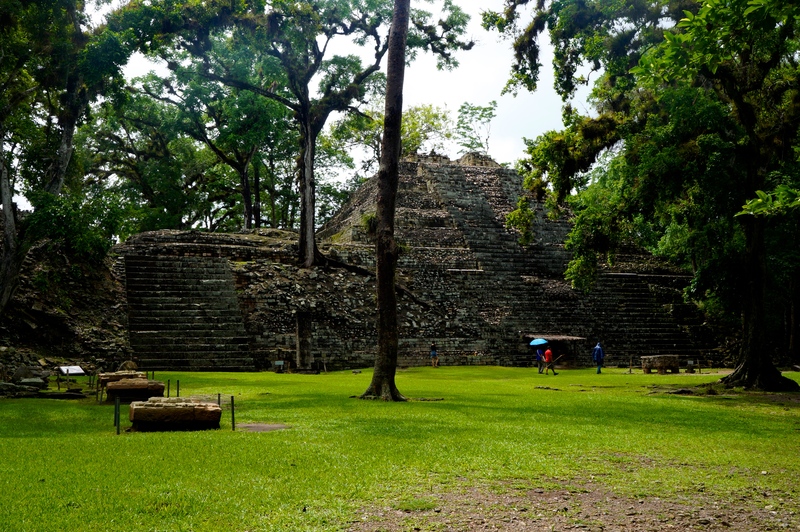 During the maya city’s existence, there were no trees here. They took them all down, which is quite hard to imaging considering how lush and green it is today! This is probably one of the reasons why the Mayas disappeared. Several of the carvings decorating the temples show people and animals doing a rain dance. The lack of rain was a huge problem in the area. For us that was quite difficult to imagine as we visited during the rain season with loads of rain every day. The green and wet area makes it possible for many different animals to live here. 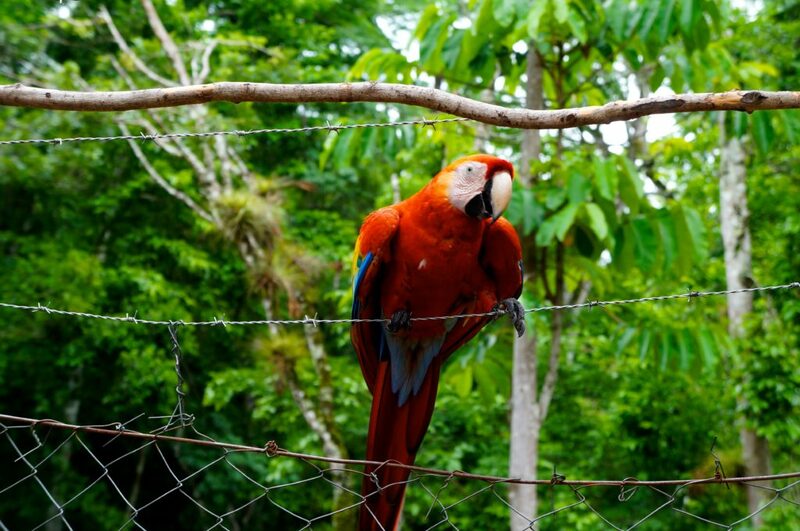 For example, you can see Honduras’ national bird, the Macaw here. Despite being a beautiful place, I think the ruins in Copan were less impressive than the ones we visited in Mexico and Guatemala. 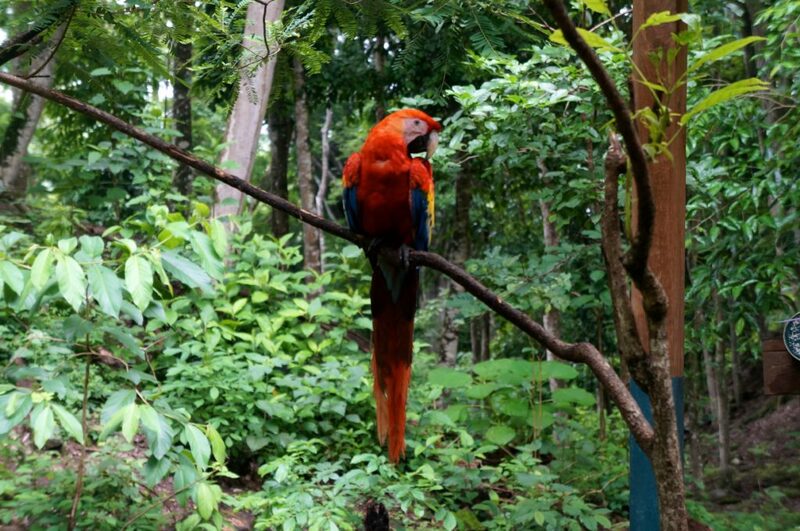 Honestly, I would recommend to travel to Copan only to see the ruins. 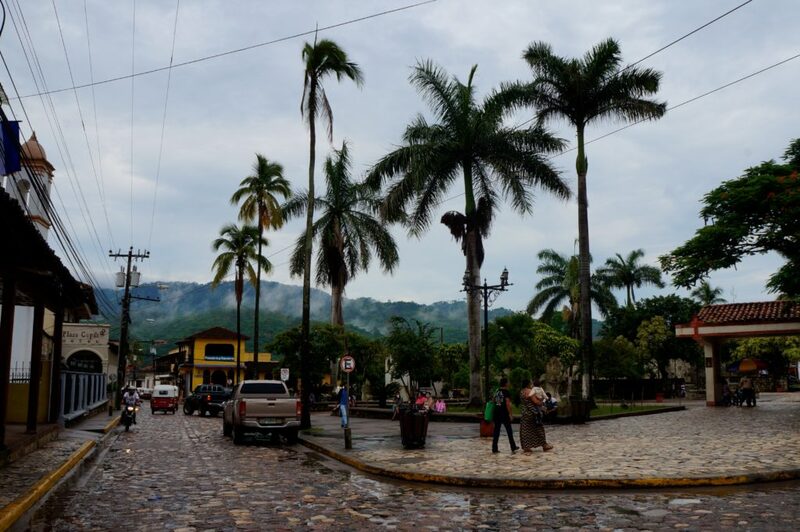 However, many travellers go from Guatemala to Roatan in Honduras, and if that is the case, a stop in Copan is great to split up the long journey. The ruins are located next to a small town, here you will find many hotels and restaurants (but that is basically it). Surrounded by green hills, it is quite beautiful. 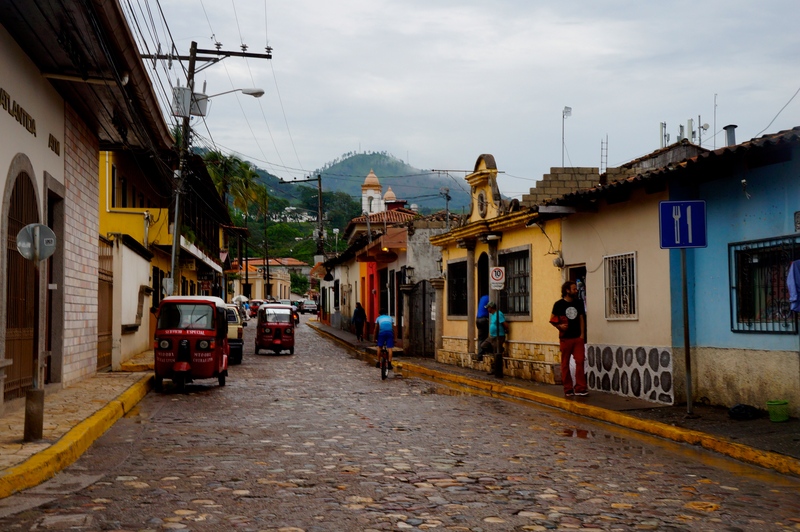 As most small towns in the region, it has the characteristics colorful houses, cobblestone streets and a park located in the center where “everything” happens. – Via Via: Tasty food, and they have both local and international food on the menu. Many of the dishes are big enough to share. In addition to their standard menu, they have new specials every day. Most items on the menu cost between 100 and 200. Good wifi. – Cafe Welchez: Good breakfast/lunch spot. If you want a break from burritos and fried chicken, this place has delicious sandwiches, smoothies, salads etc. Not the cheapest spot in town, but they do have great wifi and air-condition! – Street food: Cheap street food stalls can be found along the street going from the park to Via Via. Spennende lesing. Fasienrende hvordan mayaene levde. It was amazing, I absolutely recommend the region!